For the past three weeks or so, I’ve been holed up trying to edit more than 20 years of photographs of the UConn women’s basketball team for a book on the 10 NCAA Championships they’ve won. A daunting task in many ways since we were limited to about 10-12 pages per chapter. Daunting, too, given the reality of how technology has changed from their first victory against Tennessee in 1995, when our photographers were still shooting film, to this year when Cloe Poisson and Michael McAndrews covered them during each round digitally shooting both stills and video to try to satisfy the enormous appetite of our readers online, in print and through social media. 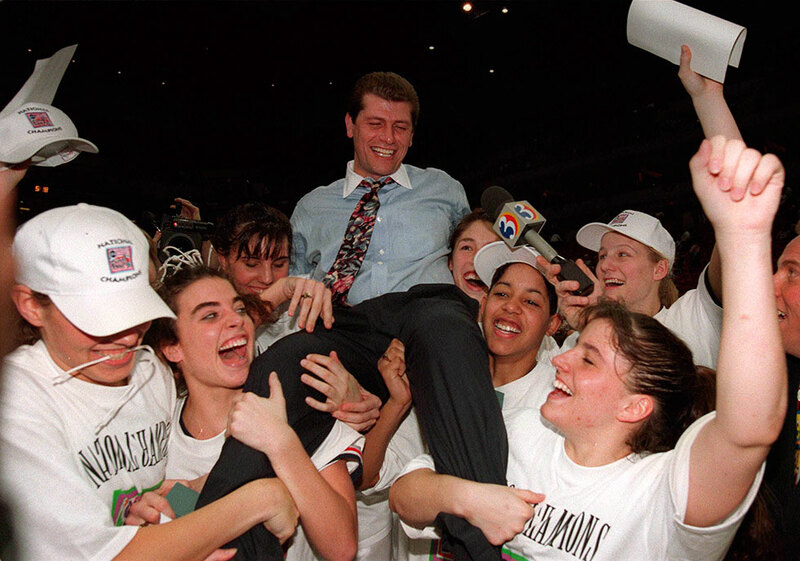 Passages from the Hartford Courant’s book,“Dynasty: UConn Women’s Ten-Title Season”, were used in each chapter here were written by John Altavilla, Hartford Courant UConn women’s basketball beat reporter. With less than one minute remaining in the game against Cincinnati (L to ) Moriah Jefferson, Breanna Stewart, Kia Nurse and Saniya Chong entertain associate head coach Chris Dailey as they don placards with her and Geno Auriemma’s faces and glasses that signify the milestone the UConn Huskies reached Tuesday night with a 96-36 victory at the XL Center. Auriemma won 900 faster than any coach in Division I history in just his 1,034th game. He also became the first man to win 900 in women’s basketball. And all around him on Tuesday was joy and celebration. Circophony, a youth circus troupe lead by ArtFarm director Dic Wheeler rehearse for “Circus on the High Seas,” a production done in collaboration with the Odd Fellows Playhouse. The cast trained and rehearsed for 3 months twice a week before their first performance in December. The circus goes on the road through June. 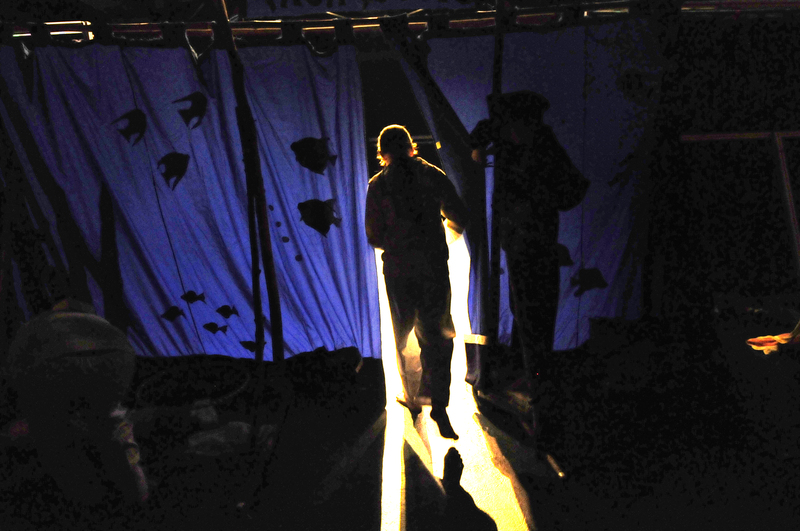 Performer Rowan Trowbridge-Wheeler makes his entrance to the spotlight during a dress rehearsal for “Circus on the High Seas,” a production done by kids under ARTFARM director Dic Wheeler. In late August, Amanda Aronson, a supporter of the Aurora Women & Girls Foundation, took part in a Dragon Boat race to help raise awareness and funds for the organization. Inspired by that experience, she then recruited women to row as part of a beginner Women’s Rowing Group that has been meeting since September. 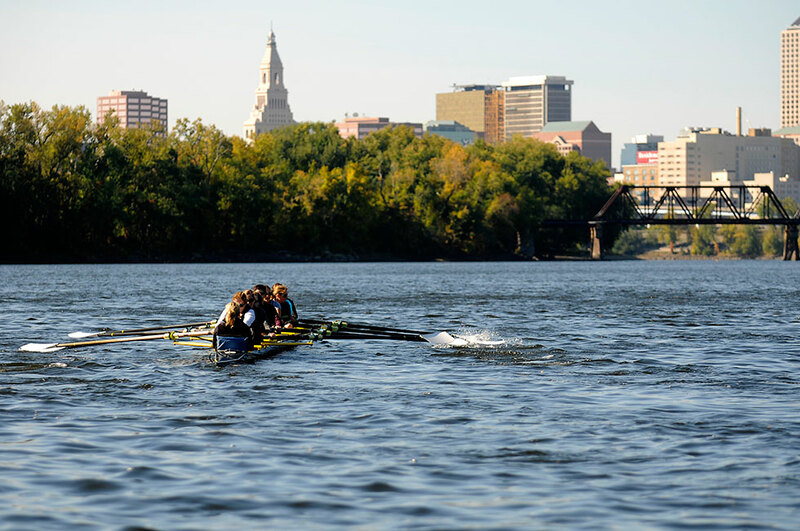 Aurora’s mission is to be a catalyst for positive change for women and girls in Hartford county, and the creation of this rowing group is proof that a “ripple effect” can be experienced when women take part in empowering activities. Two women from the original Dragon Boat team are on the Thursday morning rowing group and the other women represent mothers with flexible work schedules from around Hartford County–many of whom have long-wanted to row but couldn’t due to traditional rowing times. 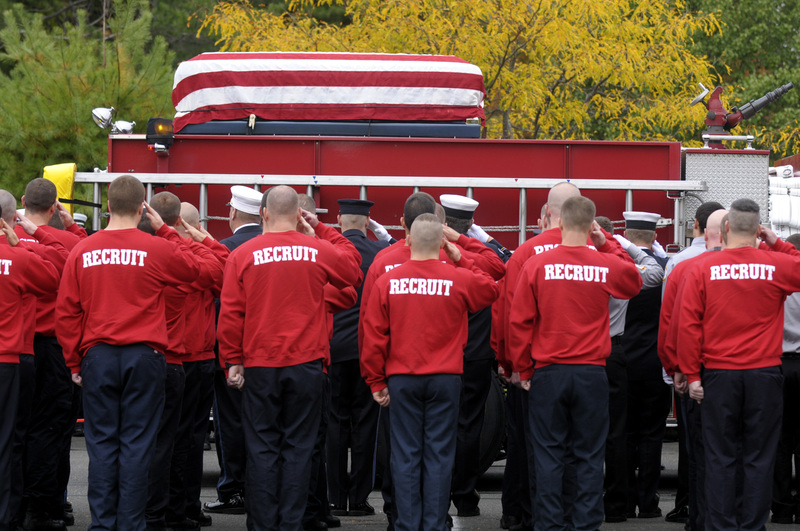 On Tuesday, October 7, Hartford firefighter Kevin Bell answered his final alarm. He perished fighting a two-alarm blaze at a house on Blue Hills Avenue, just a block from Bell’s firehouse, Engine 16, Blue Hills Station. Monday morning, under cloudy skies, thousands of firefighters and friends gathered at First Cathedral in Bloomfield for funeral services for the fallen firefighter. 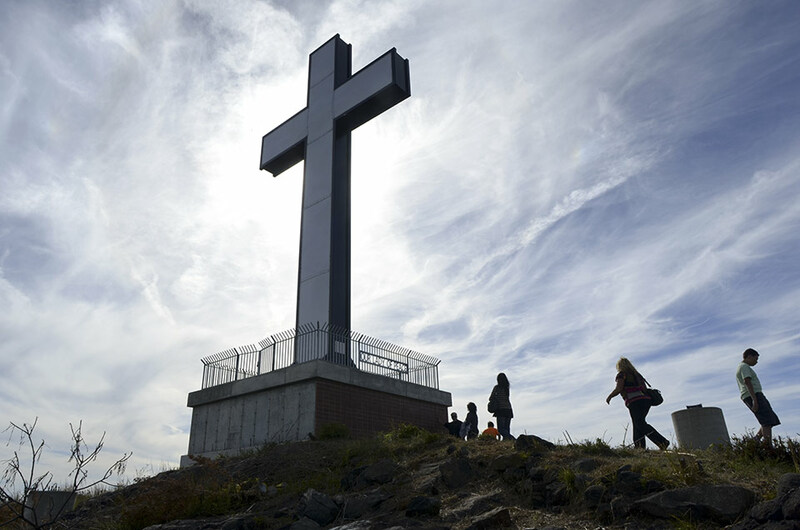 He was buried at Mt. St. Benedict Cemetery in Bloomfield following the service. 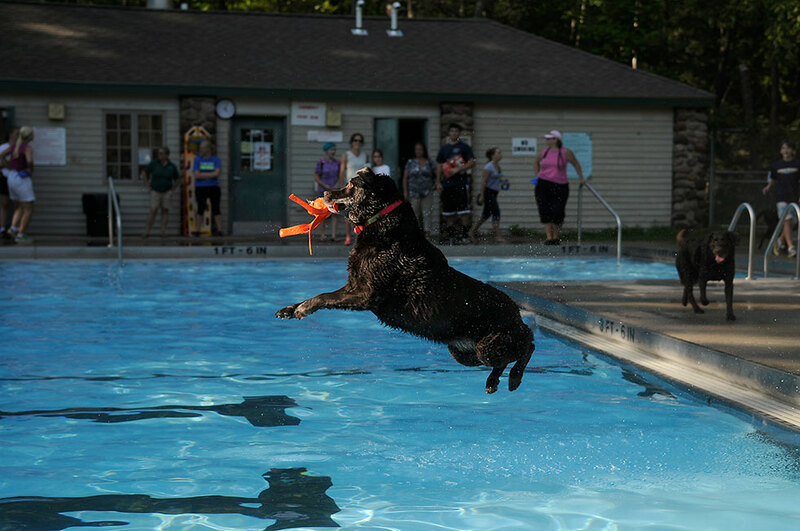 The Bristol Parks and Recreation Department held their 3rd Annual Pooch Plunge at Rockwell Park Monday evening. About 30 dogs, and their owners, came out to cool off and take the plunge as a good way to end the summer season. For some New London’s water main break is an inconvenience. They have water. But for those living at the New London Housing Authority high rise on Colman Street they’ll make due until water is restored. 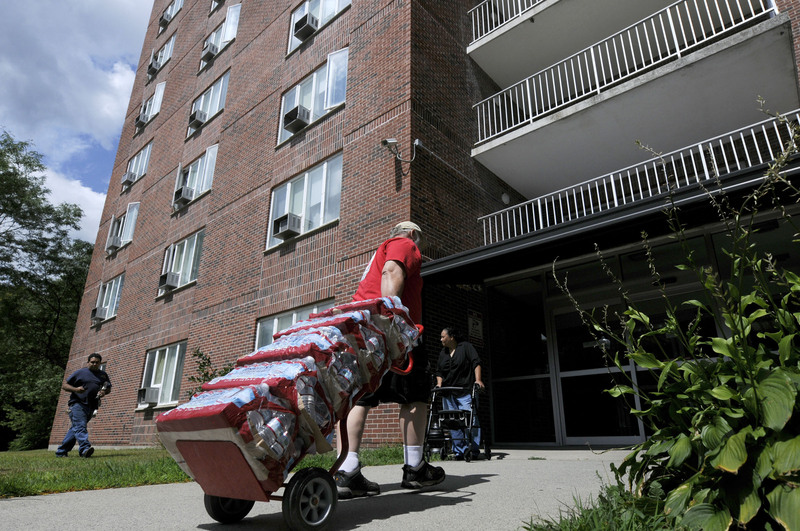 Several cases of bottled water are delivered to the New London Housing authority highrise on Colman Street by staff from the American Red Cross after residents lost water service Thursday. A water main break in New London’s Bates Woods Park nearby caused lowered water pressure for some and interrupted service for others. 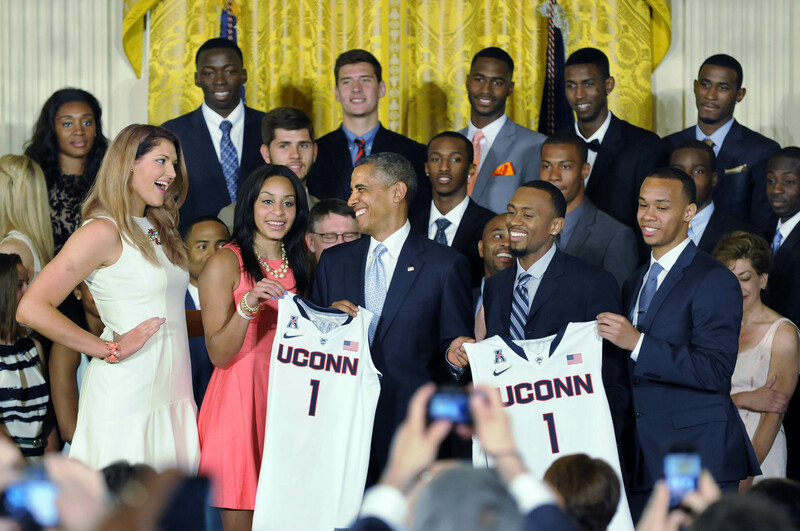 UConn Teams Honored at the White House…Again! The UConn men’s and women’s NCAA Championship basketball teams were honored by President Barack Obama at the White House Monday afternoon in the East Room packed with invited guests and media. It was the second time since 2004 that both teams were honored for dual championships. “It is just a remarkable thing what these two programs have accomplished,” Obama said. “The women were a perfect 40-0 and won their games by an average of 34 points. There was not a lot of suspense. Now, I did not pick the men’s team to win. But neither did anybody else, unless they went to UConn. Tell the truth,” he said, raising his hand, prodding UConn alumni in the crowd to show themselves. After the 20-minute ceremony, during which UConn players presented Obama with UConn jerseys, and Stefanie Dolson lost her balance and fell of the riser – she was unhurt as she landed on her feet – a few team members and coaches Auriemma and Ollie proceeded to the White House lawn for a press conference. To read Dom Amore’s story about UConn’s visit, click here. 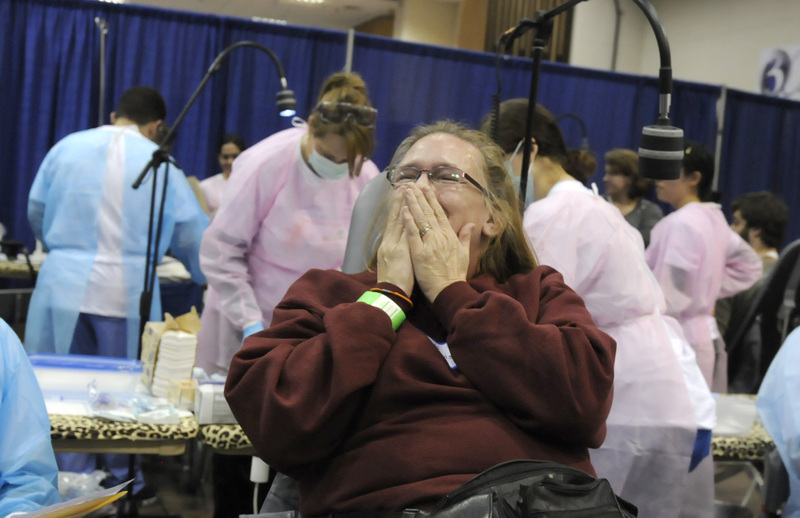 Hundreds turned out Friday at the XL Center seeking free dental care offered by hundreds of volunteers. Brenda Davis, of Plymouth, blows a kiss to staff after getting a tooth extracted. She and hundreds of others were in line early Friday seeking free dental care staffed by volunteer dentists and assistants in a makeshift clinic. The CT MOM Free Dental Clinic at the XL Center in Hartford offered a full range of dental services on a first come first served basis starting at 6 A.M. Friday. More than 700 walked through the doors four hours later. The clinic continues Saturday. East Hartford jumped out to a 4-0 lead after two innings but East Catholic’s rally fell short in a 4-3 loss at home in Manchester Thursday afternoon. 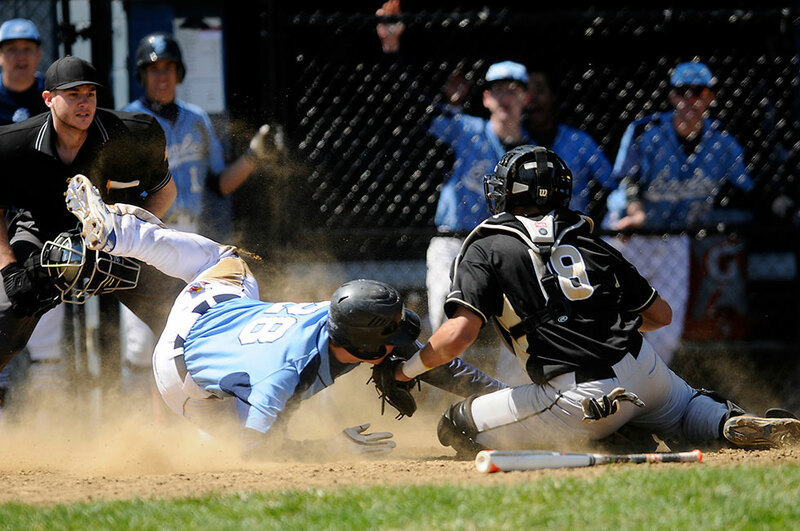 Christian Caballero of East Hartford puts the tag on Josh Zbierski of East Catholic at the plate as he tried to score from second base during their baseball game Thursday afternoon. East Hartford held on for a 4-3 victory. 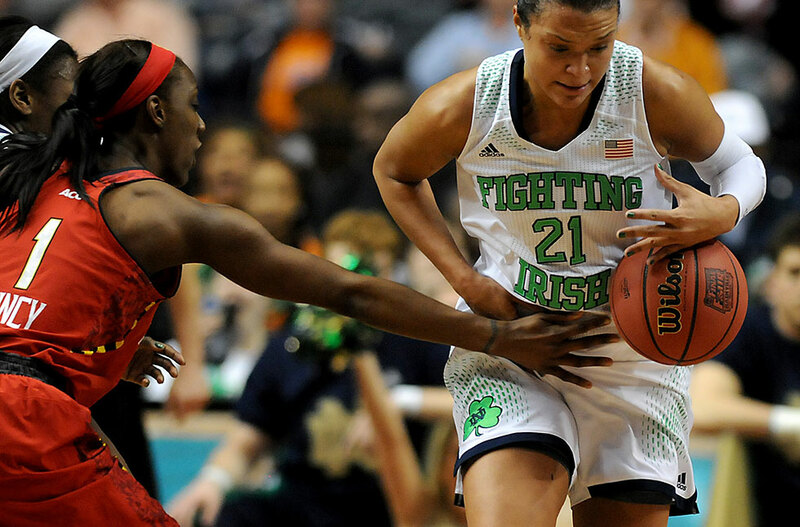 Notre Dame Fighting Irish guard Kayla McBride (21) drives up court as Maryland Terrapins guard Laurin Mincy (1) reaches in for the ball during the first half of the 2014 NCAA Women’s Final Four in Nashville, TN., Sunday night. McBride scored 28 points and Notre Dame easily advanced with an 87-61 victory. Nearly forty people signed up to have their heads shaved for the St. Baldrick’s Foundation fund-raiser at Vaughn’s Public House Tuesday night in Hartford. 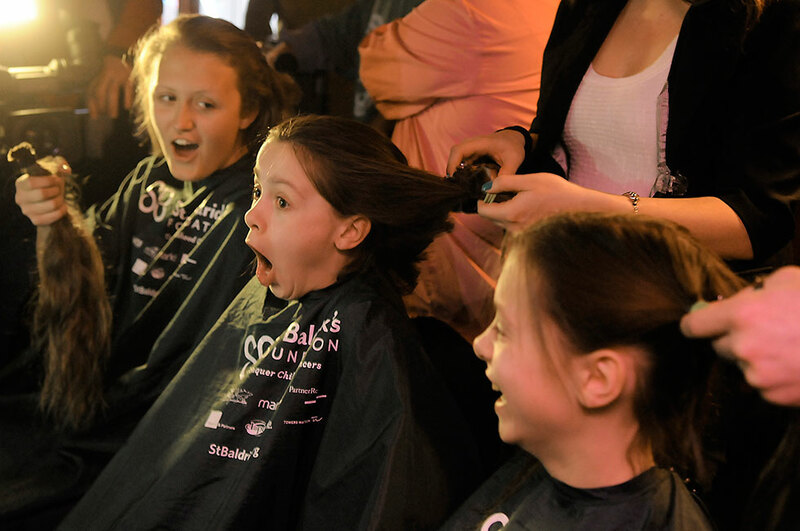 Juliette LaRock (C) reacts as Jane Dunbar (L) holds up her ponytail which was just cutoff during a fund-raiser for The St. Baldrick’s Foundation at Vaughn’s Public House in Hartford Tuesday evening. Nearly forty people, mostly young girls, attended the event that was started by Jon Cohn, a Manchester soccer coach, who learned of the foundation in 2009. Juliette’s twin sister Camille (R) looks on as her ponytail is prepared for cutting. The St. Baldrick’s head-shaving events began as a challenge between businessmen and have grown from one event in 2000 to over 1,300 events in 2012, raising critical funds for childhood cancer research. 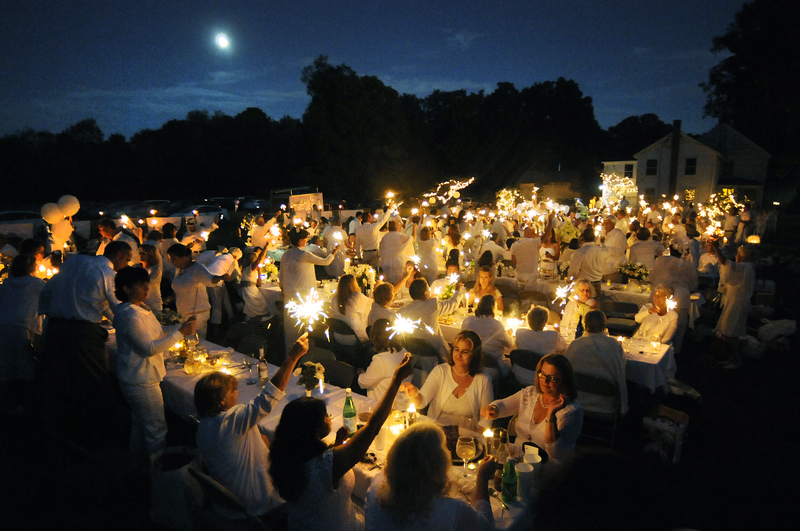 Events take place in pubs, restaurants, schools, churches, parks, malls, military bases, firehouses and any other place you can imagine, according to their website. 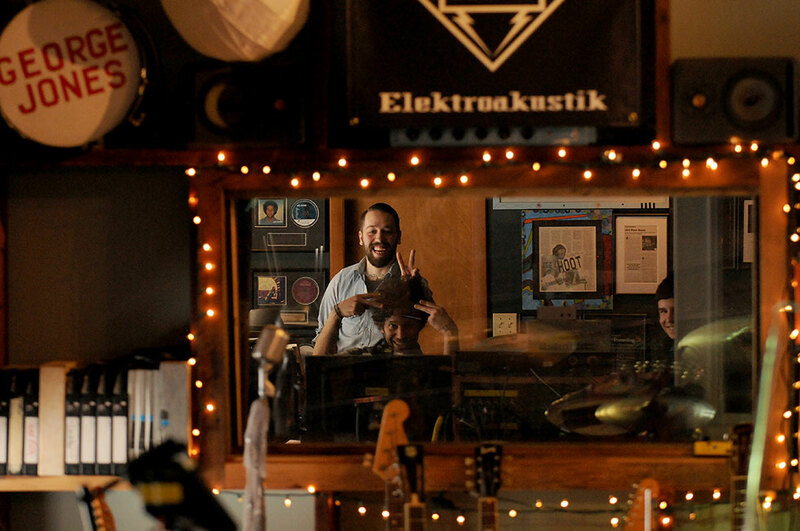 James Maple and Eric Lichter goof around in the studio while cutting a new single for Maple’s upcoming recording. Lichter is the owner and operator of Dirt Floor recording studio in Chester. Eric Lichter grew up in CT and after living in NYC for much of his 20s returned to open a recording studio, now located in a historic home in downtown Chester. This operation is different because he records to tape using vintage equipment, he coaches artists and he’ll play whatever instrument needed. Two New York City buildings collapsed on Wednesday in an explosion believed to be caused by a gas leak, killing three people, injuring at least 36, and setting off a search for more victims feared trapped in the rubble. The explosion scattered debris across Metro North tracks stopping service on the commuter line that passes in front of the destroyed buildings. 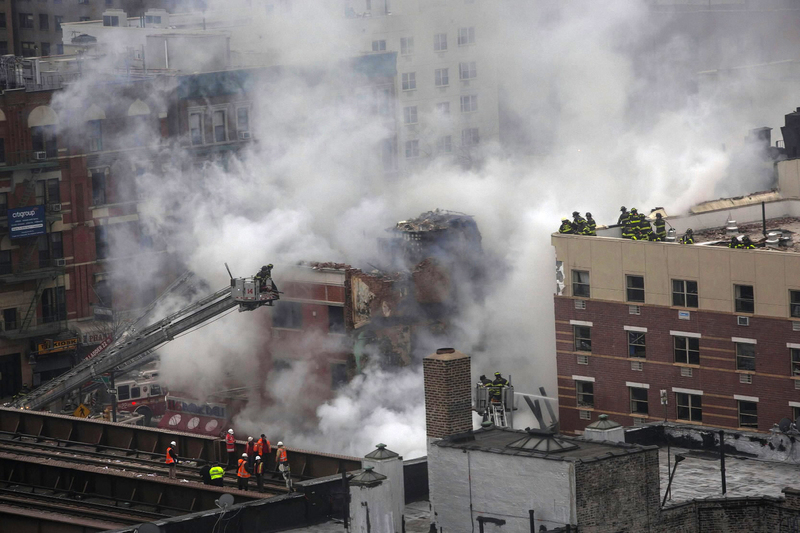 New York City firefighters examine the rubble at an apparent building explosion, fire and collapse in the Harlem section of New York, March 12, 2014. Two buildings collapsed in an explosion in Upper Manhattan on Wednesday, killing at least three, injuring at least 17 and setting off a search for anyone trapped in the debris, witnesses and officials said. 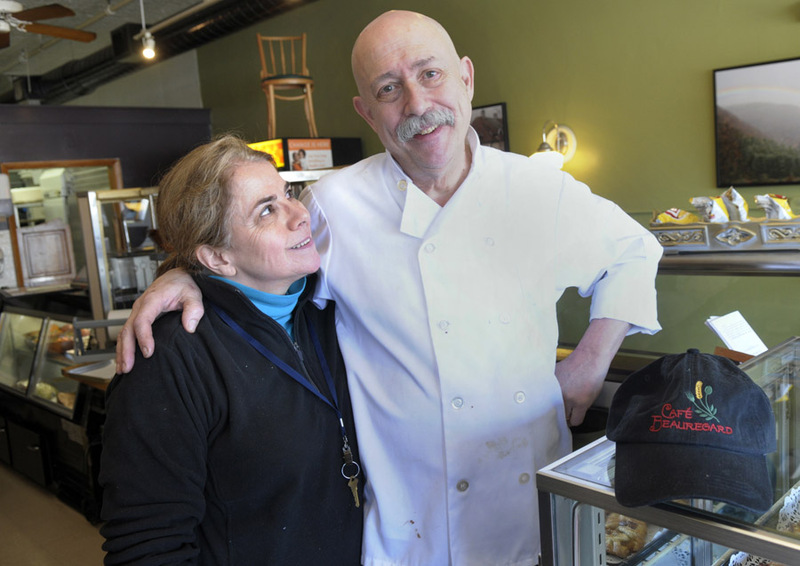 Rob Chivoloni, owner/chef of Café Beuregard, stands wit his wife, Alice Bruno, behind the counter of his New Britain Café. Behind them, sitting on top of a soda cooler, is the chair that President Barack Obama sat in yesterday while eating at their New Britain sandwich shop. Owner Chef Rob Chiovoloni, of Café Beauregard, stands with his wife, Alice Bruno, behind the counter of his New Britain café. Behind them, sitting on top of soda refrigerator, is the chair that President Barack Obama sat in yesterday while eating at their New Britain sandwich shop. About a week ago, Chiovoloni was told that the Governor may stop by for lunch. But he and his employees knew from press reports that the President would be in town for a rally on the minimum wage issue, so they were excited. However, as the week went on, and no one said anything more, he figured it wasn’t going to happen. But some interesting customers, ordering large take out orders, and asking probing questions, piqued their curiosity. Then late Wednesday morning his wife told them that a Secret Service agent was at the counter asking if the President could stop by for lunch. Chiovolini, a graduate of the class of 1968 from the Culinary Institute of America, has some experience serving Presidents. He was the executive chef at the Madison Hotel in Washington D.C. for both of President Reagan’s Inaugural balls. He’s worked in restaurants since, but only recently opened this restaurant in December of 2013. A couple hours after the agent arrived, President Obama, four Governors and the Sec. of Labor walked through the door. Obama looked at the menu, then asked Chiovoloni what he would recommend. To Chiovoloni, it was obvious. He suggested the Spicy Korean BBQ Steak, which is a marinated thinly sliced New York Strip steak. “I don’t know of anywhere else you can get such a fine sandwich.” he said. Obama must have liked it, since he ate the whole sandwich, a bowl of chili, a couple of Amaretti cookies, and shared a slice of Tarte Tatin. While sitting in the main dining room, and before the food was served, Obama talked about the importance of a higher minimum wage, and mentioned that Chiovolini, paid all his workers over $10.00 an hour. Chiovoloni, doesn’t know why the President choose his restaurant over others, but that, and the fact that he and his wife live in New Britain, may have played a role. “They could have chosen anywhere to eat,” he said. But through his long career serving customers, this is very special. “It’s the coolest feeling to the world. Looking into the dining room and seeing the President and four governors, enjoying your food. Not just eating it, but enjoying it,” said Chiovoloni. When the group was finished eating, the President offered to pay, but Gov. Dannel P. Malloy, said since the President was a guest, Malloy would pick up the tab. And since the café doesn’t accept tips, that wasn’t an issue. President Barack Obama chose New Britain, Conn. to make an important policy speech on raising the minimum wage. 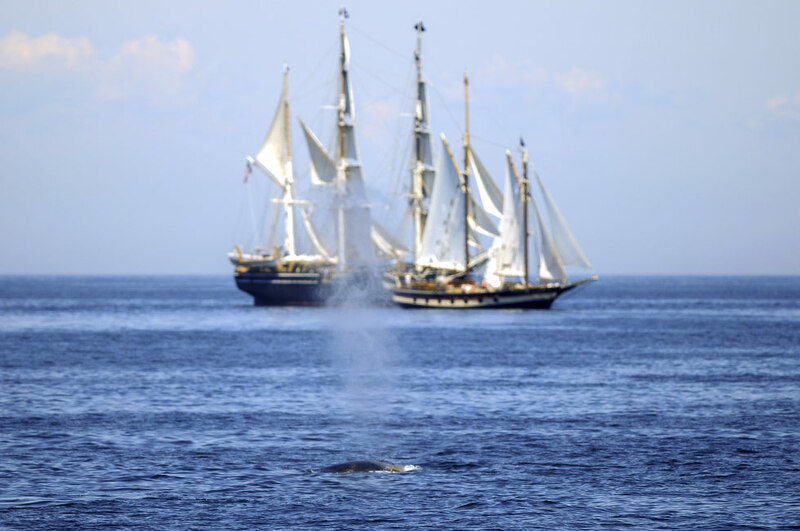 He brought four New England governors along with him to stress the importance of the issue. But before heading over to Central Connecticut State University, the President brought the governors and Sec. Of Labor to a New Britain restaurant for a quick lunch. One of the reasons he said he chose Cafe Beauregard was because he heard the owners of the restaurant pay their employees above the minimum wage. Please click here, to read a report by Chris Keating, Jenny Wilson, and Daniella Altimari. From left, Vermont Gov. Peter Shumlin, President Barack Obama, Gov. Dannel P. Malloy, Massachusetts Gov. Deval Patrick, Tom Perez, Sec. of Labor, and Rhode Island Gov. Lincoln Chafee, sit together for lunch at Cafe Beauregard, in New Britain, before heading over to CCSU for Obama’s speech on the minimum wage. Gov. Dannel P. Malloy presented his State Of The State address to a joint senate-house session in the House chamber of the State Capitol Thursday night. The beginning of the 2014 legislative session was delayed a because of the snow storm that hid the state yesterday. Malloy spoke for the better part of an hour, with his speech being interrupted by applause dozens of times. Please click here to read the story by Chris Keating and Jenny Wilson. Gov. 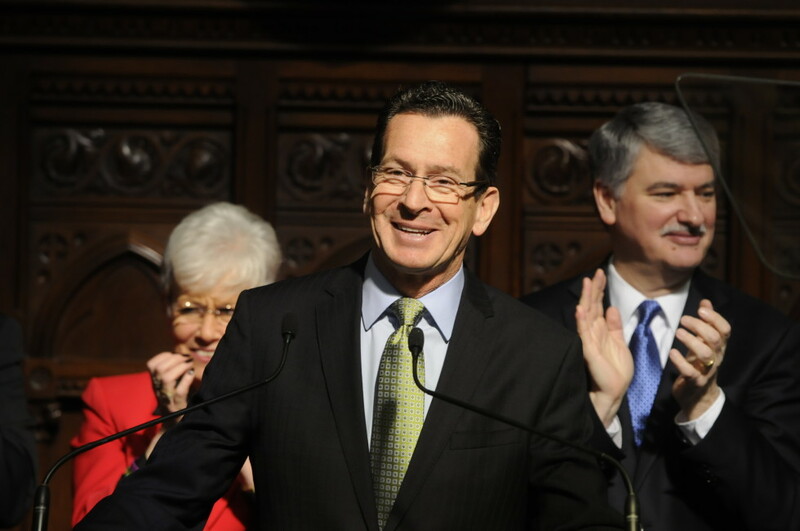 Dannel P. Malloy reacts to applause after being introduced to a joint senate-house session to present his state of the state address at the beginning of the snow-delayed 2014 legislative session on Thursday. Behind are Lieutenant Governor, Nancy Wyman, left, and Senetor and President Pro Tempore, Donald Williams. 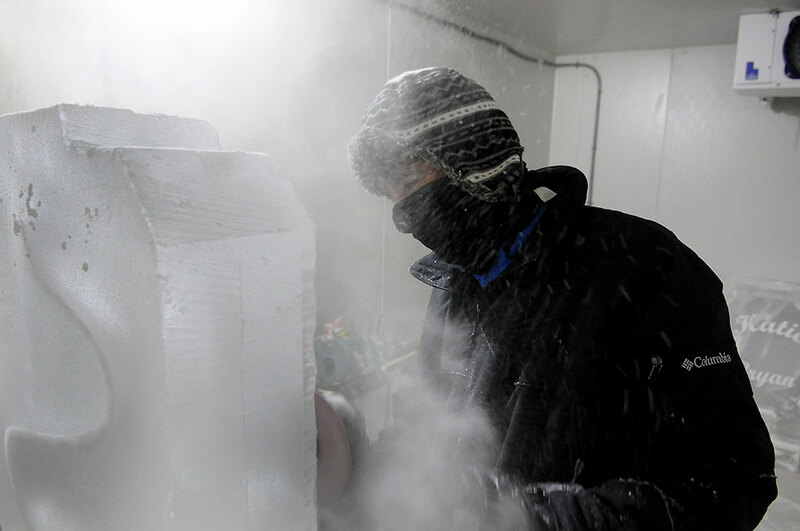 Bill Covitz didn’t know where he would wind up after graduating from the Culinary Institute of America in 1991 with the desire to be a chef but for the past 14 years he has mastered the art of carving ice. Bill Covitz uses a hand grinder to clean and smooth the face of a “Martini Luge” for an upcoming engagement party. Two blocks with the initial of each person is engraved into the front, a plastic martini glass is fitted into the top by carving out the ice then a large dremel is used to carve a flowing groove for the tube that will carry the martini mixture through block to a waiting glass for the consumer of the drink. The Connecticut Science Center’s latest exhibit, “Lost Egypt: Ancient Secrets, Modern Science,” will be on view to the public from February 1, though May, 4. The show offers interactive exhibits on translating Egyptian hieroglyphics, doing an archaeological dig, as well as having a real mummy on display. 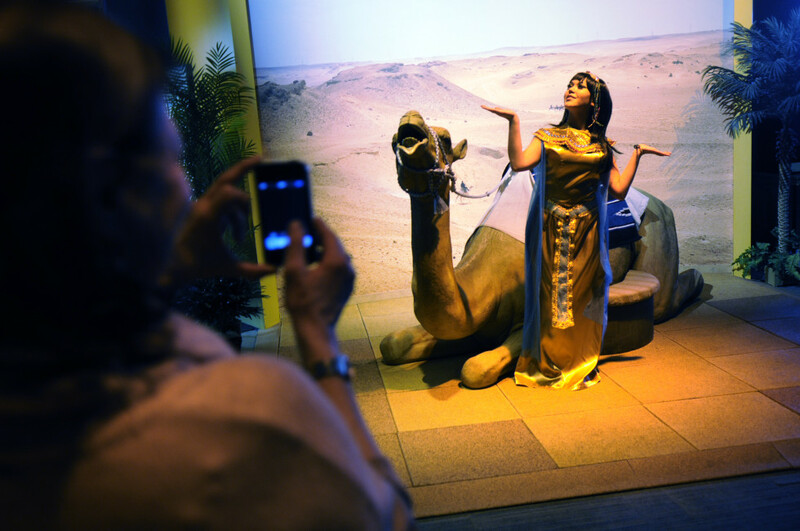 Lexi Prieto, of Waterbury, playing the part of Cleopatra, poses for a visitors to take a photo in front of a model camel she called “Sandy.” Preto, who works for Powerstation Events out of Cheshire, said she has done other events at the Science Center, but has never before played the part of Cleopatra. The Denver Broncos and Seattle Seahawks will play for the NFL Championship at MetLife Stadium on Sunday, February, 2, 2014. The week leading up to big game turns into a media circus and for the football fan the NFL has created the largest “Fan Festival” by blocking off over a dozen city blocks in Times Square with a variety of events. I will try give a glimpse of the things I encounter along the way with a series of Instagram photos. 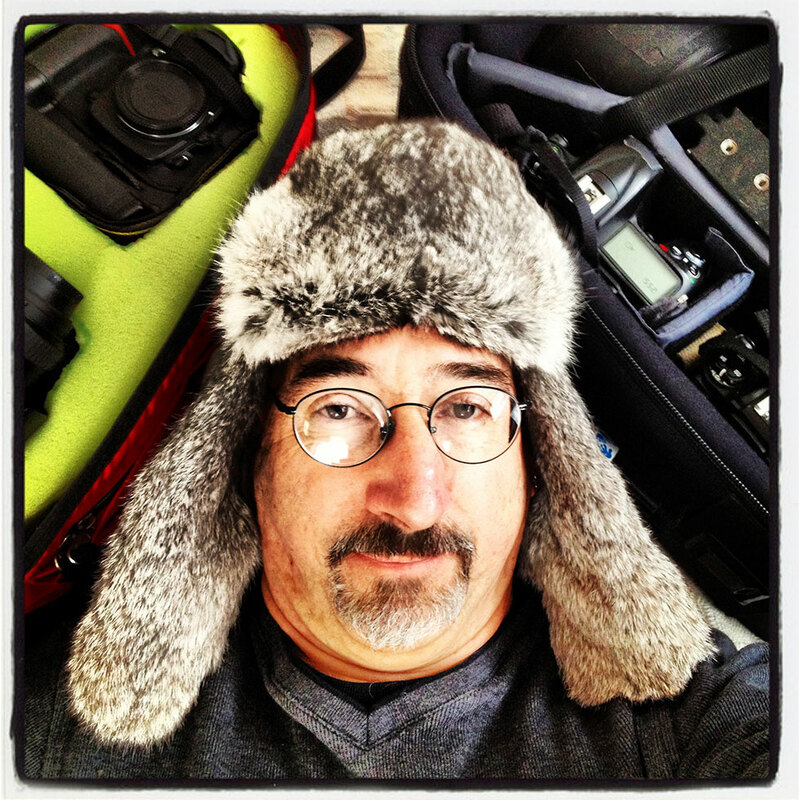 Gearing up for the “Big Game”, I went out and purchased a new hat for Super Bowl XLVIII, MAD BOMBER meet @AngryJohnnie. It’s supposed to be a cold night, but hey it is New England after all. 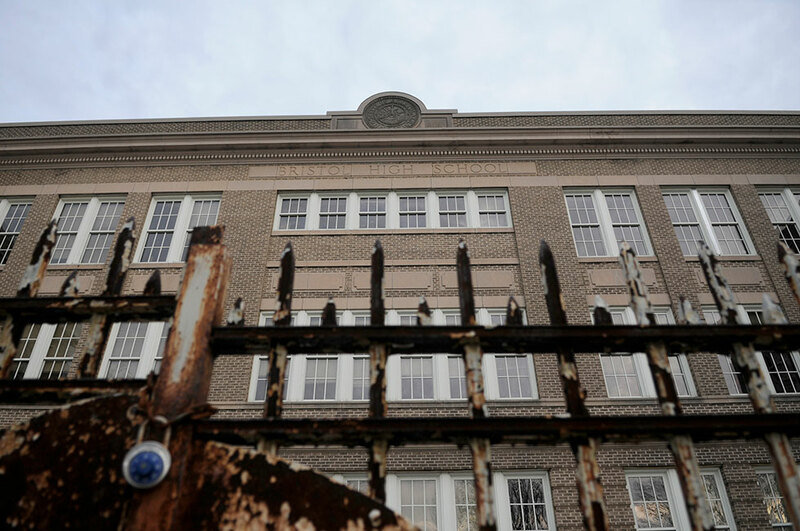 The Bristol Planning Commission held a public walk-through of the Memorial Boulevard School Monday afternoon and will hold two public hearings later this month to get ideas on what to next with the property.